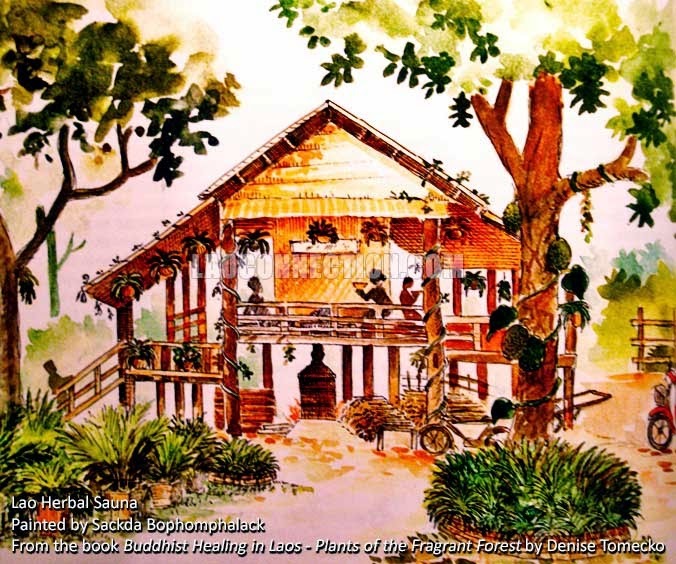 Here's a water painting of what a traditional Lao herbal sauna looks like. The fire heated boiler has locally grown medicinal herbs added where its steam is then vented into the small sauna room. A Lao style massage is often accompanied afterwards. Buddhist Healing in Laos - Plants of the Fragrant Forest by Denise Tomecko.